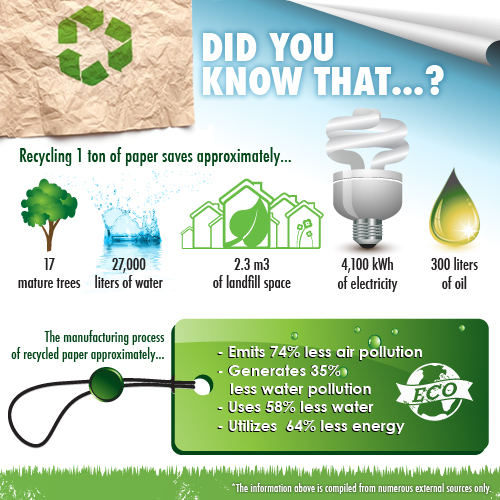 As part of INDEVCO Paper Containers Division’s environmental awareness efforts, member Unipak launched a new eco-friendly initiative to help manage, reduce, and recycle office paper waste. Located in Halat, Lebanon, Unipak expanded its office waste management initiative and is working with other INDEVCO Group business and service units to implement office paper waste management practices. Unipak provides corrugated trays and baskets to INDEVCO service units and affiliates in order to further facilitate paper waste collection procedure throughout the group. The manufacturer distributes one corrugated tray per office to collect daily paper waste. After paper waste trays are full, participating affiliates and service units empty the paper sheets of all offices in a collection bin. On a monthly basis, affiliates and service units send all collected waste to Unipak. Consistent with efforts to not only recycle waste but reduce it as well, Unipak encourages re-using all non-official documents as draft paper to decrease paper waste. INDEVCO business and service units, Organizational Effectiveness (OE), Online Communications Unit (OCU) and Repro Center have participated in Unipak’s green initiative to improve office waste disposal in an environmentally-friendly manner. Unipak is a member of INDEVCO Paper Containers, a division of the multinational INDEVCO Group.